Big Little Lies season 2 trailer, cast and air date for Australia. The trailer for Big Little Lies season two is proof that dreams really do come true. What started out as the ultimate prestige limited TV series, a show that was only meant to grace our screens for a mere seven episodes and then disappear into the night, will be getting a second lease on life this year. Since the finalised cast lists, set photos and airdates have been drip fed to us over the last few months, it’s been a tumultuous time for fans who are trying to work out exactly what this second season will look like. Now, the official trailer promises a show that’s a lot darker, and grittier than the first season, but full of twists, turns and suspense. Take a peek below. Post continues after video. Here’s everything you need to know about Big Little Lies season two in one handy location. After an extensively long wait, the network who produces the show, HBO, officially confirmed at a Television Critics Association event in February that the second series of the award-winning drama would be back on our screens in June 2019. While an exact airdate has yet to be confirmed by the network, at least you know that June is just around the corner. When Big Little Lies does air in Australia in June, you will be able to watch it on Foxtel and Foxtel Now. Season two episodes will drop onto the service weekly. The only way Big Little Lies could have come back for a successful second season was if the entire cast of leading ladies all signed on to reprise their roles, which they did. This means that Reese Witherspoon will be back as Madeline Martha Mackenzie, Nicole Kidman as Celeste Wright and Shailene Woodley as Jane Chapman. The scene-stealing Laura Dern will be back in her role as Renata Klein and despite her very rocky ending to season one, Zoë Kravitz will return as Bonnie Carlson. While it has not been confirmed exactly how much screen time he will have in season two, it is believed that Alexander Skarsgård will make a brief reappearance as Perry Wright, Celeste’s abusive and now-deceased husband. While it’s likely he will only feature in a flashback scene, Skarsgård spoke openly about wanting to return to his Golden Globe-winning role during the 2018 awards circuit. The second season of Big Little Lies will also introduce a range of new faces to the secretive world of Monterey including Crystal Fox and Martin Donovan as Bonnie’s parents, and Mo McRae as a second-grade teacher at the school where all the leading characters’ offspring attend. Actors Douglas Smith, Poorna Jagannathan and Denis O’Hare will also appear in the new season, though specific details around their roles have yet to be announced. Still, the casting news to top all casting news is the fact that Meryl Streep will join Big Little Lies season two. What’s especially juicy about this news is that her character is Mary Louise Wright, the never-before-seen mother of the very dead Perry Wright and she has been introduced to the show to be the main catalyst for drama in this new storyline. In an interview with Variety, Nicole Kidman said that following the show’s multiple Golden Globe wins and critical acclaim, Meryl Streep emailed both her and Reese Witherspoon to request a role in the new season. “She goes, ‘I suppose now I have to join you.’ And we were like, ‘What?’ The two of us were just shocked,” the actress told the publication, before confirming there was no season two script available for Streep to read when she first accepted the role. Listen to the Mamamia team unpack all the twists and turns of season one of Big Little Lies. 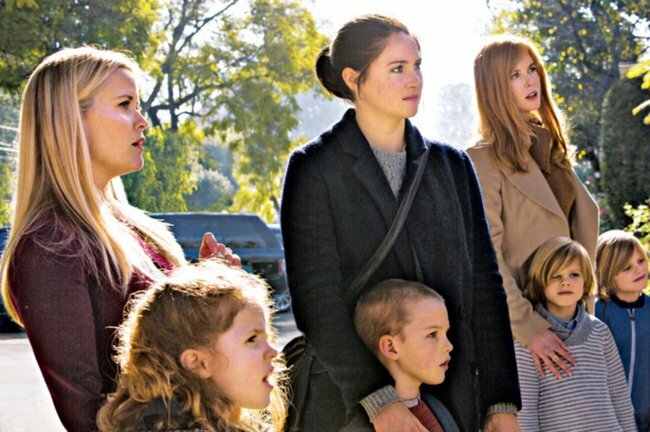 While all the details surrounding the storylines featured in the first season of Big Little Lies were easily obtainable, thanks to the fact that it stuck very close to the source material that was the novel of the same name by Australian author Liane Moriarty, season two is much more of a mystery. 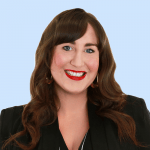 It will give fans of Big Little Lies comfort to know that the season two storyline and character arcs have been penned by Moriarty herself, to ensure it builds on themes and characters explored in season one. In a true twist of fate, Moriarty told E! she had always had Meryl Streep in mind to play the mother-in-law of Nicole Kidman’s character Celeste, even to the point where she named the character after the actress’s real first name, Mary Louise. Of course, the mystery surrounding Perry’s death will be a huge plot driver for the second season of the show, especially considering that this plotline will be the driving force behind Meryl Streep’s character. HBO has said that Streep will arrive in Monterey “concerned for the well-being of her grandchildren following her son Perry’s death and on the hunt for answers” but that’s all we know so far about how season two will kick off. Another story clue that we have about season two comes from a photo Reese Witherspoon shared from filming which shows Madeline throwing an ice-cream at Streep’s character. From Witherspoon’s determined and slightly furious look in the photo, it appears there’s a certain amount of resentment between these two characters. Where you can watch season one of Big Little Lies in Australia. All seven episodes of Big Little Lies season one are available to watch now on Foxtel and Foxtel Now.